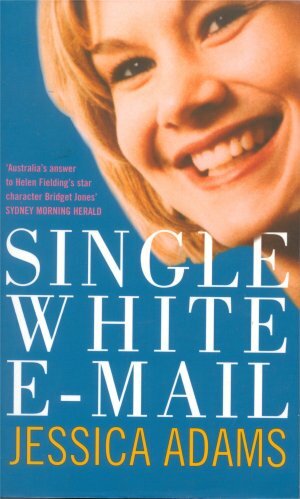 Move over Bridget Jones, Australia now has its very own angst-ridden, neurotic 30-something single woman who wants to have a white wedding by the time she’s 40. This is a funny, insightful, touching novel that will hit home to anyone who has ever been single. Victoria ‘Total Bloody Relationship Disaster’ Shepworth has just been dumped by the man she thought was ‘the one’. In desperation she turns to the internet - the only problem is, she has no idea who’s really at the other end. . . I got the book at yesterday's meetup. Seems like a good book for vacations! Funny to read, although the characters are rather stereotype and the plot jis quite predictable. I do not want to tell too much, but it is clear soon who is the "right" guy. I bring this book to the Meetup in Zürich. An entertaining, humorous piece. This is the better version of Bridget Jones. Given to me by sun-beetle at the Cafe Gloria meetup - thanks! "Ages ago, I promised myself that I wasn't allowed to have a cat. Why? Because if you are a single woman and you have a cat, you may as well get a wispy grey bun, a tweed suit, a pair of glasses and start calling yourself Miss Marple. Single woman plus cat equals bad clique. Men are repulsed by it. No, no, no." Sending to my sister katethebass as a RABCK.